Upon entering the nineteenth-century stable that is now 48 Crestwood Road during the Great Depression, a visitor to the old Waterhouse estate ‘on the hill’ which lies between Warwick and East Greenwich would have found a gloomy, cavernous space. They might have seen a young girl playing on a tire swing that hung from a beam on the first floor, or perhaps they would have seen her father watching vigilantly out of one of the building’s few windows. His bargain with the landowner? To keep an eye on the comings and goings of workmen in lieu of paying the rent that he could not afford to pay. The authors of these changes were Elizabeth Greenleaf Pattee and J. Carol Fulkerson. Pattee was an architect and landscape architect by profession and a keen traveller, photographer and conservationist by avocation who purchased the property in 1955. 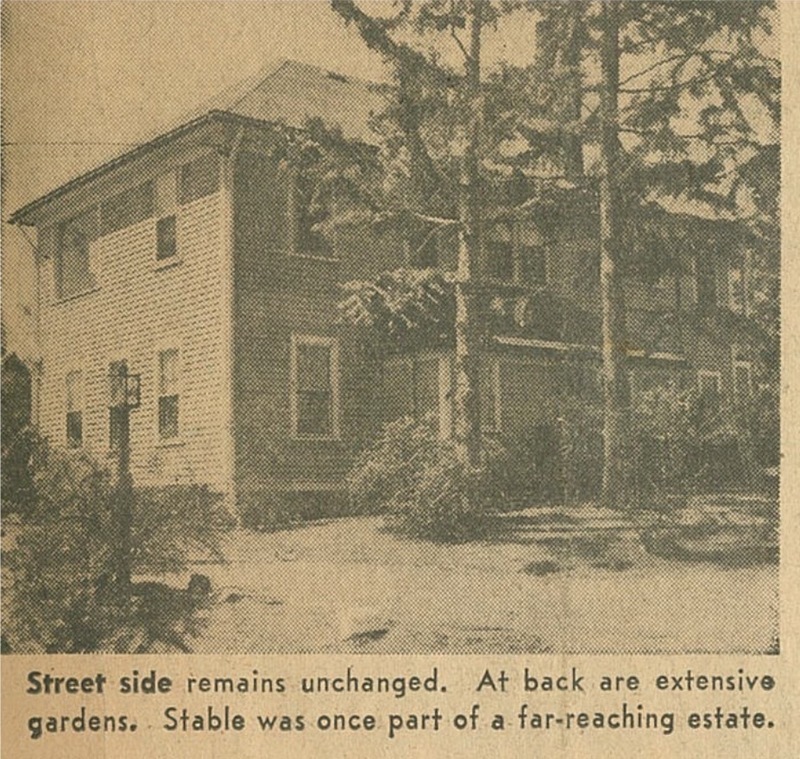 By that point the stable had already been converted into a habitable dwelling by its previous owners, but a lot of work remained to be done in order to bring the house and its grounds up to Pattee’s exacting standards. These emphasised a comprehensive understanding of design which integrated approaches to architecture, landscape architecture, ecology and interior decoration ‘for [the purpose of healthy] living’. This was a philosophy that Pattee developed over many years as a result of her educational background. 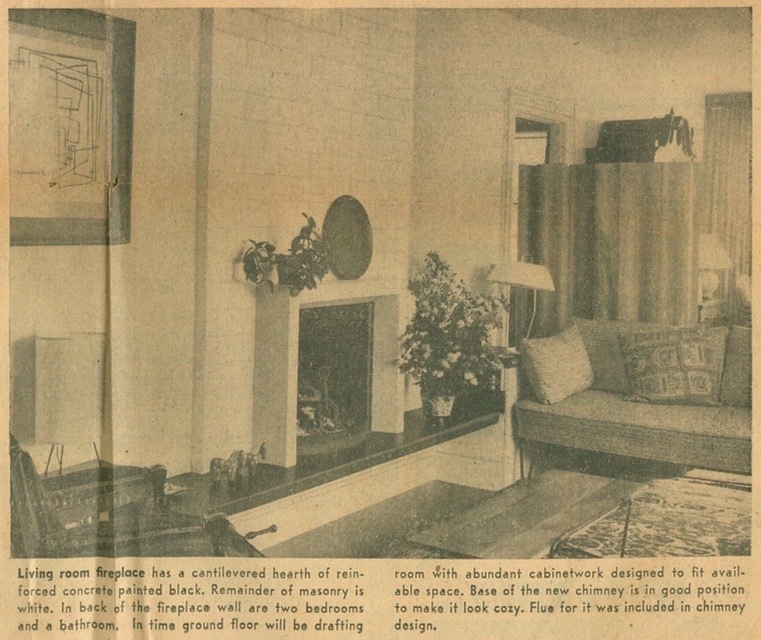 She began her career as an architectural draftswoman, having obtained a BS degree in architecture from MIT in 1916, before shifting her focus to landscape architecture, which she studied at the Lowthorpe School of Landscape Architecture for Women from 1916 to 1918. Here, she would have learned about botany, planting and surveying. Ecology and conservation issues would have been present in her training too, but it was not until the 1950s that these came to the forefront of her work as an educator and advocate for good design practice. One topic of concern to Pattee and the nascent conservation movement in Rhode Island in general at this time was the sustainable development of the local shoreline. For Pattee, this necessitated a reconciliation of the functional needs of people and the requirements of the natural environment. In recent times, this has been realised in the planning of the nearby Buttonwoods Beach. Today, these principles are so often taken for granted that it is easy to miss the novelty of the way in which Pattee's home reconfigured the relationship between house, user and landscape in order to reflect the integrity of all three. 48 Crestwood Rd Warwick, RI 02886 ~ Private Property. In 1964, Pattee was elected secretary-treasurer of the Warwick Conservation Commission. Dominic Bate, “Elizabeth G. Pattee and her Ecology of Design,” Rhode Tour, accessed April 21, 2019, http://rhodetour.org/items/show/261. Susanne Smith Meyer, 'Elizabeth Greenleaf Pattee: A Woman and her Garden', in 1997 Annual Meeting Proceedings, ed. by Cheryl Wagner, Washington D.C. 1997, pp. 250-53. The Providence Sunday Journal, June 12 1955. 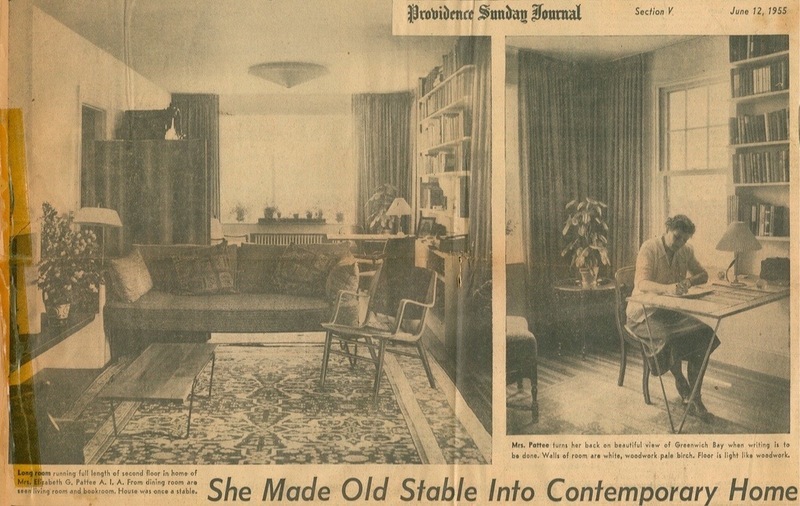 The Providence Sunday Journal, March 1 1964.